At this time of year, when the nights draw in and we start to cosy up at home, we’re often looking for new pieces to adorn our interiors. With that in mind, I’m always on the lookout for new and exciting collections worth perusing. The products have to be well made, creatively designed and of course, affordable. I hope you’ll agree with me when I say I think I’ve found all of those things at Swoon Editions. Its pieces are great value and brought to the customer at seemingly great prices. I get very excited when I scan the collections and find piece after piece that I would love in my own home, and that’s exactly what I found at Swoon Editions. Take the Tivoli design your own sofa, shown above in Azure. It’s a 2 seater, available in over 30 colours and costs from £499. The range also includes a chair, a 3 seater and corner sofas too. A great idea at a great price. 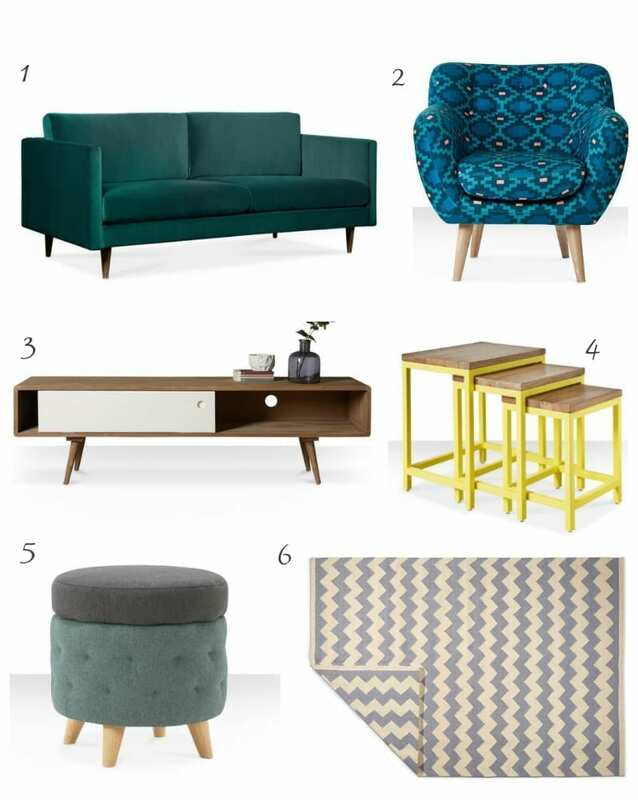 I’ve been taking a look around and thought it might be nice to showcase my wishlist, particularly for a living room. Swoon Editions does focus on larger pieces rather than too many accessories, but check out my edit and see what you think for yourself. If you click through on the links above you can see more details and the pricing. There are only so many pieces available in each style, so you need to be quick. I’ve chosen products that fit my love of contemporary with a hint of mid-century too, but there are more industrial and modern shabby chic pieces on the website so it’s worth a browse. Swoon Editions was founded in 2012 by former colleagues Brian Harrison and Debbie Williamson, after each became frustrated with the cost of stylishly furnishing their homes. They set up Swoon Editions to offer the customer high quality, craftsman-made furniture designs, at affordable prices. The site launches up to four brand new designs every single day to its growing community of Insiders. Each design is first produced in a very limited quantity of 10-20. Using real-time sales data, Swoon Editions can test demand very quickly and then scale production on only the most popular pieces. What a clever way of running its business and presumably a good way to keep the costs down. I’d love to know what you think. Does Swoon Editions get your vote? If so, come back next week, when I’ll be launching a very special Swoon Editions giveaway. oh my gosh, number 2…that chair is STUNNING. 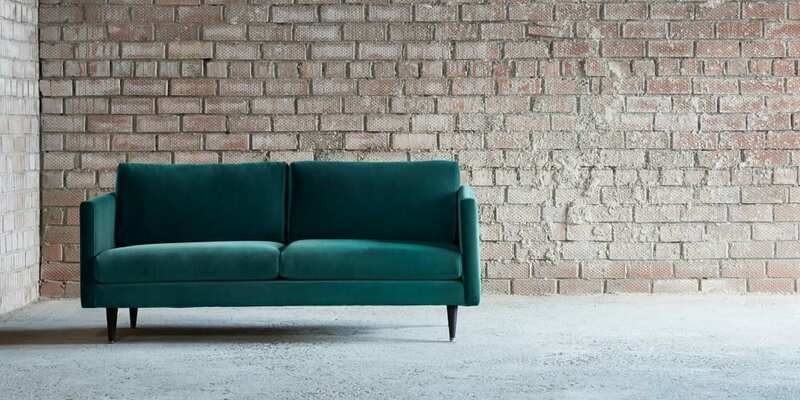 Oh my, I’m certainly swooning over the Tivoli – what a beautiful design and finish in that rich velvet. I’ve signed up to Swoon Editions now, what a great source of lovely stuff for the home! Absolutely love the mimi chair. Great to add a splash of cool retro to a room. Lots of lovely pieces you have picked there Jen! I’m off to have a look right now!